Ben Kingsley won a Best Actor Oscar years ago for Gandhi, and now he’s on the opposite side of the human spectrum in Operation Finale as Adolf Eichmann, one of the architects of the Holocaust. The feature deals with the journey of his capture in Argentina (Oscar Isaac plays Israeli agent Peter Malkin). 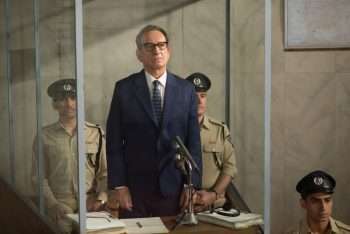 Operation Finale, co-starring Nick Kroll and Mélanie Laurent, opens nationwide August 29.